After reviewing my labs from my physical in May all the way through my December labs, I noticed that my TSH level had been slowly creeping up. I brought this up to my Internist’s office and left a message with my doctor’s nurse that was doubling my Synthoid for two weeks and to call if that was a problem. I took 150mg of Synthroid daily for 8 days before my next baseline blood work appointment. My TSH dropped from 3.78 down to 1.8. For optimal conception, the TSH should be between 1 and 2. I was shocked to learn from my RE that the TSH level being up 1 point could lower a baby’s IQ by 4 ! WHAT???? In a month, my TSH went back up to 3.11 despite me now taking 125mg of Synthoid that my Internist called a script in for. I called immediately after my last lab results were in and left a message for my Internist. I was a bit annoyed that I did not get a phone call back. I did my own research and noted that a drop in Vitamin D level could affect the TSH level as could gluten. I ran out of my prescription Vitamin D so I did let the nurse know. A whole week later, after calling the office AGAIN yesterday and complaining about my doctor not personally calling me despite me leaving a detailed message, my doctor’s nurse calls me this morning. I completely unleashed on her about their failure to do their job. My doctor’s office is a top rated medical practice on 5th Avenue. I handpicked my doctors for a reason. They are in the top 100 docs ! Your bedside manner, office manner, AND your response to patients when they call manner better ALL line up ! I have no patience for foolishness or ineptitude AT ALL. Of course, the nurse could not answer my questions and said my doctor would call. This evening, Dr. Witt calls, which is what I asked him to do LAST WEEK, and I had to explain what has been going on and why it is important that he call me back and stay on top of my TSH levels. These levels must be and remain between 1 & 2. I did not want other doctors prescribing me meds and I wanted him to manage the care that is not reproductive care. He immediately called in a prescription for 175 mg of Synthroid. He did not want to overshoot by giving me too much Synthroid. I have baseline in a few weeks, so hopefully, this will drop the TSH and keep it steady. I am really annoyed that my bloodwork was drawn a few times and NO ONE noticed the increase in the TSH nor addressed it. My sister is an RN so I will be sending her all of my lab results from now to monitor them. I am now taking prescription Vitamin D (1200 mg a day) and the Synthroid. This entry was posted in Health, Infertility and tagged IVF, Single Mother By Choice, TSH Levels. Bookmark the permalink. 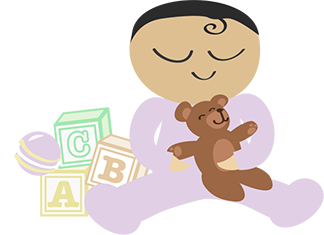 ← Doula – The 411 !